If you're living in the Broomfield Area, it's crucial that you have a car you can rely on day in and day out. Subaru is one of the most trusted brands of vehicles on the market because of the large assortment of sedans, crossovers and trucks available. No matter which type of car you're looking to purchase for yourself, our Broomfield Area Subaru dealership will help you to find the perfect option to fit your needs and budget. 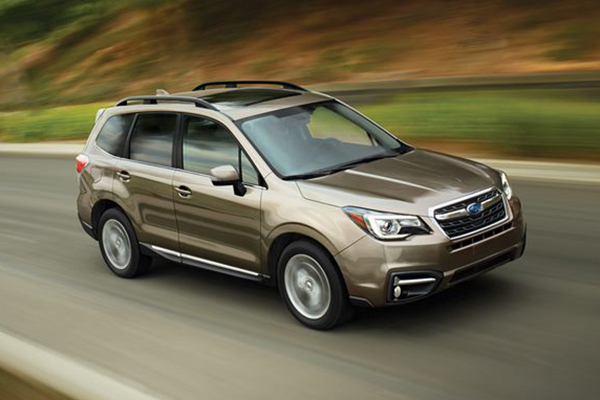 Our Broomfield Area Subaru dealership provides an array of beautiful Subaru vehicles to match any client's needs. The moment you make the decision to start working with our Broomfield area experts, you're doing something that will help you drive away in a gorgeous vehicle that is going to last for years. From the compact Impreza to the spacious Forester, we have what you're looking for at a price you can afford. We encourage anyone living in the Broomfield area to visit our Broomfield Area Subaru dealership so that they can take a look at our large inventory. We have a variety of specials and incentives available to individuals who would like to be able to get a car that they want and need without a hefty price tag. Our Subaru dealership works closely with our clients, no matter what type of car you're able to afford. You can contact us if you'd like to learn more about the variety of specials and incentives we have made readily available to our customers. Our Subaru dealership is there to help you get a great vehicle without spending full price for it. You can also contact us via email if you'd like more information pertaining to our specials and incentives available to customers only. Along with an array of specials and quotes, we offer financing and loans to anyone coming through our Subaru dealership doors. This means that whether you have bad credit, good credit or no credit at all, we'll be able to take you on as a client and get you the financing that you need. This enables you to get a car with a reasonable monthly payment and feel confident that you're doing something good for budget. If you're interested in taking out a loan, you can contact Flatirons Subaru to learn more about what we offer. Whether you're a brand new owner of a Subaru or you are a long-time driver of this brand, our auto repair services are unmatched in the area. If you're currently having issues with your vehicle, be sure to contact Flatirons Subaru to make an appointment for our trained technicians to look at your car. The benefit of taking your vehicle to our dealership serving Broomfield drivers is that you're dealing with a team of experts who specifically work on your make and model of car. You're not just taking your car to a random mechanic who may or may not be of any help to you. In some cases, your vehicle will still be under warranty, so you can save money on auto repair work that needs to be done. Our dealership serving Broomfield drivers is available throughout the day to take your call. If you'd like additional information on our repair services or available stock, be sure to contact Flatirons Subaru. We will do everything within our power to ensure that you walk away a satisfied customer who gets exactly what they want in a new car. Having a great quality car that you can trust for years to come is easy on your budget and prevents you from having to continually replace what's in your garage. Our helpful representatives serving Broomfield drivers will be there when you need it the most, getting you the information and assistance that you need to find and drive the ideal car. This particular brand is an ideal option for drivers and families of all sizes. Whether you're a large family looking for an enormous crossover or you're an individual who needs something fuel efficient to get back and forth to work, we have what you're looking for at a reasonable and highly affordable price. To learn more about all of our available services, give us a call or send us an email. We are here to answer any and all of your questions to ensure that you have a great experience using our dealership. We have been in the business for many years now and have worked with hundreds upon hundreds of locals who simply need a great car that takes them from point A to point B in style and without costing an arm and a leg. It is our mission to ensure that you find a great car you can trust and know that you're able to have something that is highly reliable and will do everything for you that a good vehicle is supposed to do for its driver. From repair work to car purchases, our team of experts is here to assist with anything that you need, making it quick and effortless for you to drive off in a car that is reliable and highly trustworthy for you and your loved ones. Because of the extensive testing that has gone into this brand, it's ideal for all of your essential traveling needs.